I just thought I would have a look around the topshop website and I saw the most gorgeous dress of all time, so I had to write a blog post about it! Well ok maybe its not the best dress of all time, that's a bit of an exaggeration but I think my exact words were "Awoahhwahoooo ouhhh.."... 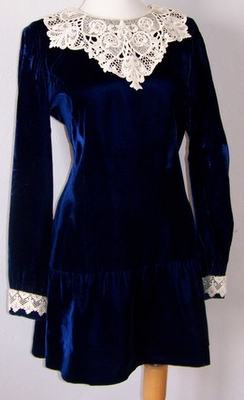 Anyway, it reminds me of the chirstmas dress I had when I was little; Navy velvet, which is possibly my favorite fabric at the moment. I wear it all the time and I can't imagine ever getting tired of it. I know I will one day, but then I'll rediscover it again and become the velvet queen and bask in my velvetness whilst servants feed me velvet grapes on a velvet sofa whilst they fan me with velvet fans. 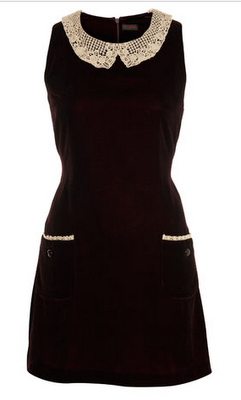 The only thing I dislike about this dress is the fact that it's £95. Why? Seriously, what could it possibly be made of to make it that expensive? This is highstreet not designer, its not even in the topshop designer section, if it was then I'd understand, but its not, and so I'm going in search of some similar dresses for a cheaper price. The green dress is from Urban Outffiters, I really love the colour because you don't see many green velvet's around, also its crushed velvet which gives it a really nice texture, and also, its only £45 which may seem like a lot, but compared to topshops £95 I'd say its a good buy. 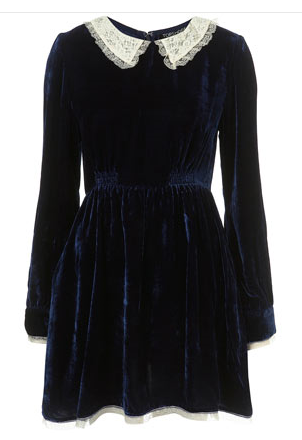 I like the second dress although the velvet isn't very noticeable, the fibers must not be very long but I love the colour and style! 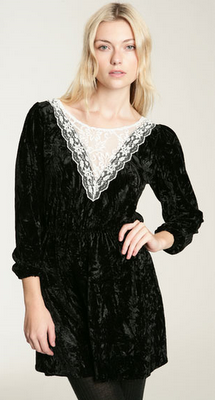 It is also £45! 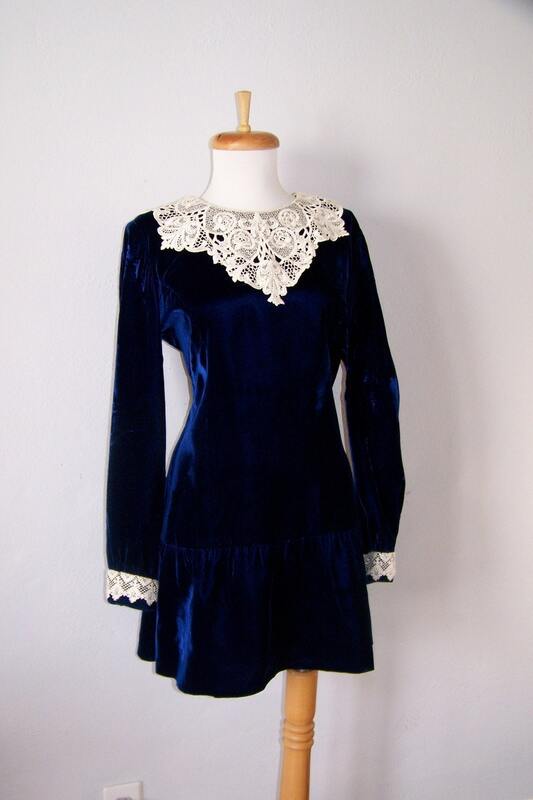 My favourite out of the three has to be the Navy Velvet dress which I found in a shop on Etsy called 'FlukeStore' which sells vintage items. This dress is $39.99 (etsy works in dollars rather than pounds but it all gets worked out at the till) I love that its so much cheaper than the topshop one even though its very similar, I also love that its vintage, which means it has a story behind it.. which is always something I enjoy as you probably already know. It also looks like it's in excellent condition, only bad thing is that there is only one of them!